Fiegen Construction Co. wins the AGC of South Dakota Build America Award for the fifth straight year. This year, the Build America Award went to Fiegen Construction Co. for the Sanford Pentagon project. 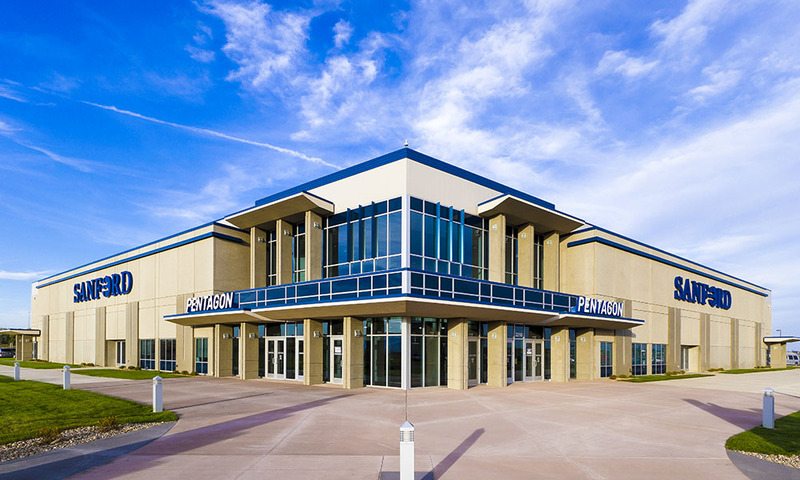 Construction started at the Sanford Pentagon in 2012 and finished in 2013. The Pentagon is a 160,000 foot facility that includes nine basketball courts (two NBA/college practice courts, six high school regulation and the "Heritage Court"). The Pentagon is the epicenter of the Sanford Sports Complex and the midwests' premier sports facility. The Pentagon is home of the Sioux Falls Skyforce, NSIC Division II Tournament, the South Dakota High School Basketball Hall of Fame and youth and college tournements. The Build America Award was developed by the AGC of South Dakota Public Relations Committee in order to enhance the image of the building construction industry in South Dakota.